Gagosian is pleased to present a career-spanning exhibition of Balthus’s paintings, drawings, and photography. Prepared in collaboration with the artist’s estate, it is the first exhibition of his work in Switzerland since 2008. Balthus was a reclusive painter of charged and disquieting narrative scenes. Skirting avant-garde movements such as Surrealism, he cultivated a self-taught classicism in his representations of the physical and psychic struggles of adolescence. In his first gallery exhibition in 1934, his voyeuristic depictions of pubescent female subjects brooding with uneasy dreams scandalized Parisian audiences. In the sixty years that followed, his interior portraits, street scenes, and landscapes continued these enigmatic artistic investigations. In this exhibition, Nu adossé (1939), an early work, follows an almost Poussin-esque order, the gentle curves of the figure juxtaposed with the angular bed frame. This play with domestic space continues in Study for Le Salon (1940–42). 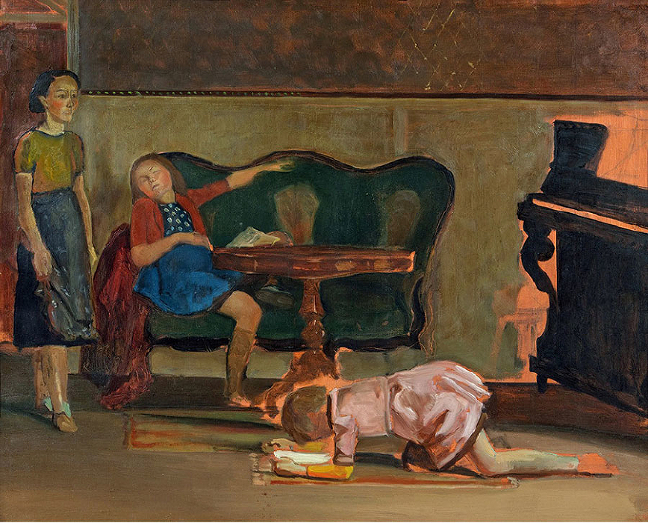 Revealing Balthus’s calculated decision-making, Study for Le Salon depicts three girls: one reading on the floor; one asleep on the couch; and one who appears to have just entered the room. 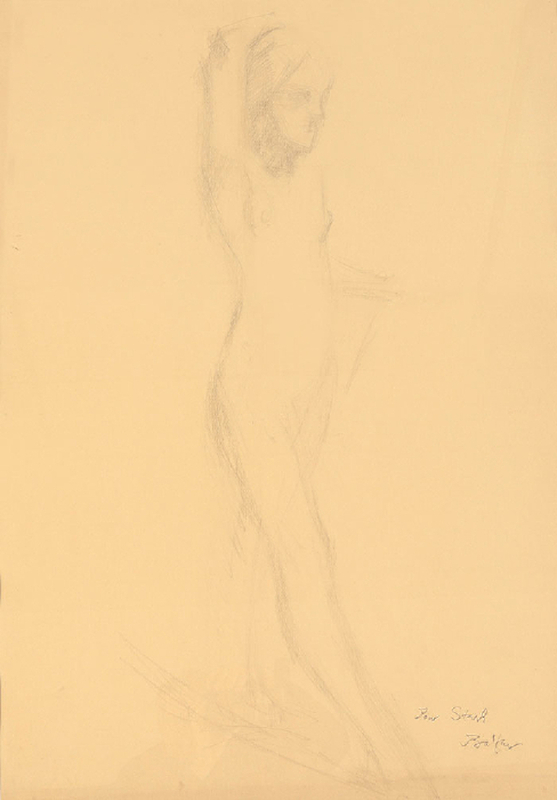 However, both the standing girl and the doorway behind her are absent from the two final versions of Le Salon—the second of which includes a white cat in her place, and is held in the collection of the Museum of Modern Art, New York. In another study, Étude de Nu (1957), a smiling girl stands with her hands folded lightly over her exposed belly, surrounded by strokes of gray-blue. And a later work, Odalisque allongée (1998– 99), pushes familiar art-historical themes, such as pastoral romance and Orientalism, to a psychological precipice. 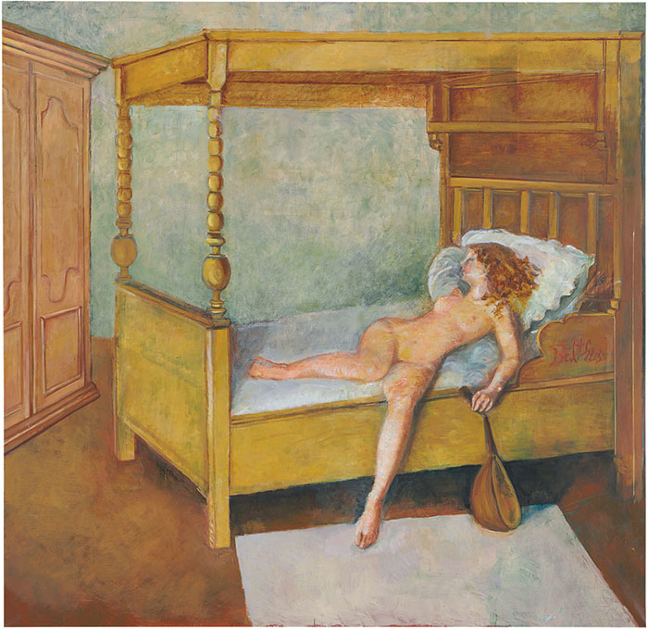 Balthus’s odalisque is draped over the edge of a mattress, holding a mandolin. She looks away from the viewer in self-contained reverie. 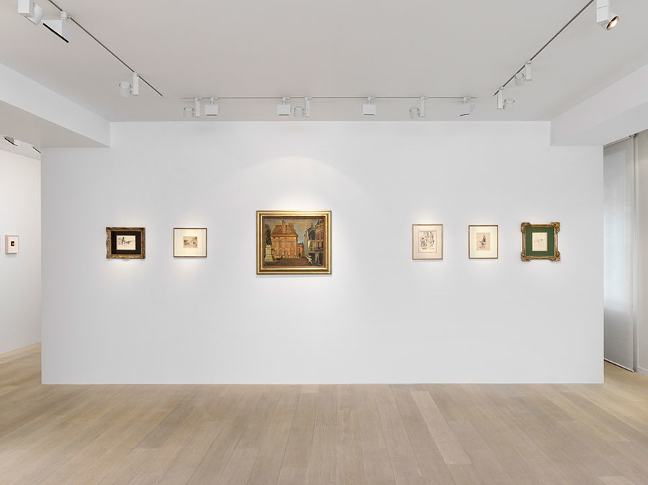 The drawings, spanning 1928 to 1978, reveal lively experimentations in form, composition, and content, attesting to Balthus’s technical versatility and stylistic evolution. They include pointillist portraits, lounging female nudes, and Parisian park scenes. Also featured are several caricatures and a landscape, Paysage de Montecalvello (1978), in which the rocks and foliage of the Italian countryside are attentively rendered in charcoal. Toward the end of his life, when physical frailty made it all but impossible for him to draw, Balthus began to take Polaroids, thinking of the instant photographs as preparatory “sketches” for his paintings. In these approximate images, golden light comes in through the window, creating effects of chiaroscuro, and bucolic Swiss mountain scenery looms, revealing the duality between dream and reality. Several are studies for the painting Odalisque allongée, depicting his last model, a girl named Anna who posed for him every Wednesday for eight years in the same room at the Grand Chalet. Displayed in a vitrine on the lower ground floor is a unique Antonin Artaud manuscript, Faits remontant à 1934 – La Misère Peintre (1947). Handwritten and richly illustrated in color by the author himself, it muses on Balthus’s life, death, and legacy in poetic, often cryptic, and venerating prose.